We are planning to drive the Lincoln Highway (Times Square, New York to San Francisco) in 2016 so I am researching the areas we will pass through, some familiar but others new to us. Today, in the secondhand bookshop I work at, I found this book: Mary Barmeyer O’Brien’s ‘Heart of the Trail’. 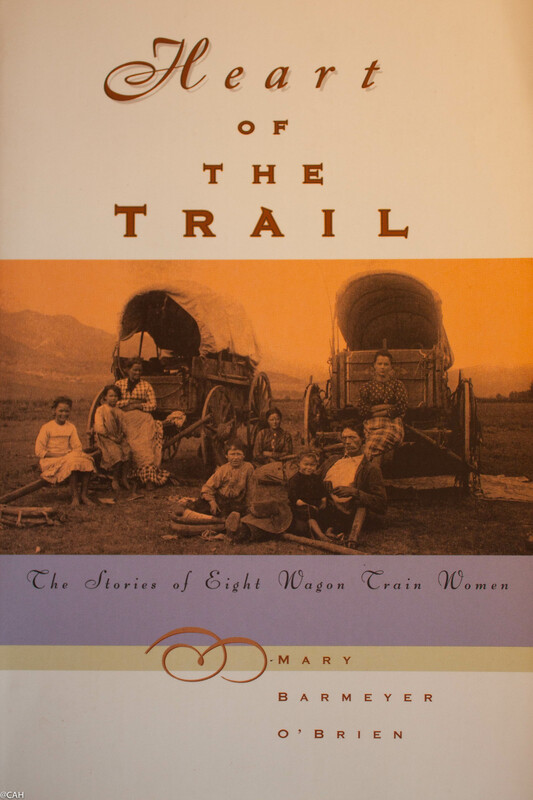 It comprises the stories of eight women who journeyed on the Oregon and other trails heading west from 1840 to 1860, derived from their diaries. I have read some of the accounts of the men who undertook this journey but this book provides a different perspective. As our journey will parallel many of waggon trail routes that were taken from the midwest it is very interesting and at times very saddening to hear of the enormous challenges faced by the families seeking a better life. I have a growing pile of maps and books as I plan our route. The highway has moved a little with various routes and diversions which arose over time and of course, diversions are allowed.